Keith Schneider is a nationally known journalist, strategic communications, and public policy specialist based in northern Michigan, where he’s lived since 1993. He currently serves as communications director for the Apollo Alliance, a national coalition of labor, environmental, and business groups working on accelerating the clean energy economy and the millions of new jobs that will result. He splits his time in northern Michigan and in San Francisco, where the Apollo Alliance is based. In the months prior to joining the Apollo Alliance in March, Keith was senior editor and producer for Circle of Blue, an online multi-media news organization focused on helping to solve the global freshwater crisis. 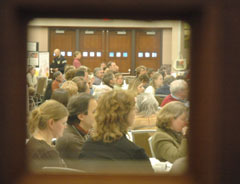 Circle of Blue manages an international network of journalists and academics who file multi-media reports that are edited, produced, and disseminated from its newsroom in Traverse City, along the northern coast of Lake Michigan. Keith also is a regular correspondent with the New York Times, where his work has appeared since 1981, a writer-in-residence at the Michigan Land Use Institute, and a contributor to more mainstream and online publications. During his entire career, Keith has worked in the space where technology, economics, public policy, and social change intersect. His expertise spans agriculture, the environment, transportation, urban affairs, communications, and social media. 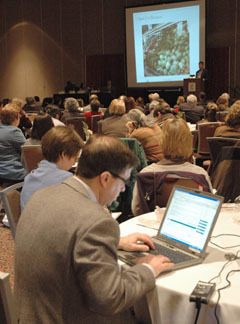 In 1995, he founded the non-profit Michigan Land Use Institute, one of the largest and most influential state-based research, communications, and advocacy organizations in the nation. The Institute, based in Traverse City, employed 21 staff members in five regional offices with a nearly $1.5 million budget. At the center of the Institute’s work is a very active news desk, which Keith designed and managed. At its peak, the desk was composed of three editors, five correspondents, two graphic designers, and a Web producer. The Institute’s Web site, which added multi-media tools to enhance non-fiction storytelling and commentary in 2007, attracted nearly 200,000 visitors a month who downloaded over 485,000 pages a month. 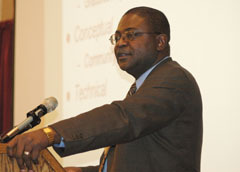 At the time that he left the Institute in September 2007, Keith served as the Institute’s editor and director of program development. Prior to founding the Institute, Keith was a national correspondent with The New York Times, where he covered the environment, agriculture, and energy and was widely recognized for his penetrating reporting. He is a two time winner of the George Polk Award, one of the distinguished prizes in American journalism, and has won numerous other journalism honors. Keith was born and raised in White Plains, N.Y., and received a B.A. in American Studies from Haverford College. His journalism career started in Boston in 1978, where he freelanced for the city’s daily and weekly newspapers, as well as for Boston Magazine. He also converted sermons into published commentary for Reverend Ike, the black evangelist who was based in the city. He later worked as a health science writer in Pensylvania for the Wilkes-Barre Times Leader, where he covered the Three Mile Island nuclear power plant disaster. From there he moved to South Carolina, where he was a feature writer for the Charleston News and Courier. He won several awards for feature writing and public service. In 1981, he founded SC Featured, an independent news service that syndicated original investigative reporting and photography on the environment and science to major newspapers, news magazines, and television news programs. In 1983, he founded a second independent news service in Sacramento, Ca., News West, that focused on agriculture, biotechnology, and the environment, publishing articles in major newspapers and national magazines. During this period he was awarded several grants from the Fund For Investigative Journalism. In 1985, Bill Kovach and Howell Raines, the editor and deputy editor, hired Keith to join the Time’s Washington Bureau, where he initially covered agriculture and the environment. Later, during a shakeup in the Bureau prompted by Judith Miller’s tempestuous and blessedly brief tenure as deputy bureau chief, Keith became a national correspondent under the stewardship of Soma Golden Behr, the Times’ great national editor. 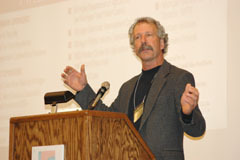 In 1995, Keith left the paper as a full-time correspondent to oversee an expanding grassroots campaign to improve oil and gas development practices in Michigan, a statewide effort that led to the founding of the Michigan Land Use Institute in Benzonia, where he lives with his wife, Pam, and their three children, Kayla, Mara, and Cody.